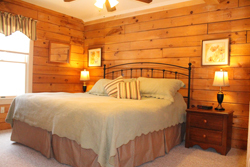 Redefining the family vacation for over 50 years, enjoy Mountainside Resort Village Lodging with fully-equipped kitchens and all the amenities of home. Offering the ultimate, year-round vacation experience with its celebrated world-class spa, luxurious accommodations, award-winning restaurants and friendly, attentive staff. 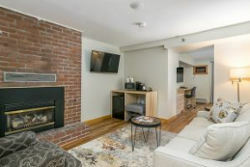 You're going to need somewhere to put all those bags when you're done shopping or a place to warm-up after a day of skiing - check out some of our favorite places to stay in the Stowe, Vermont area. 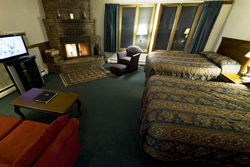 Explore a variety of Stowe lodging accommodations near Mount Mansfield (Vermont's highest peak), whether you need a small room for just one night at a Stowe hotel, or many rooms for an extended stay at a Stowe resort. 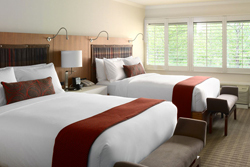 Surrounded by majestic mountains and panoramic vistas, the views from guestroom windows are simply beautiful! 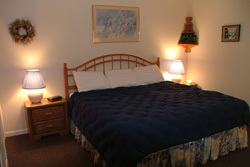 Enjoy staying in a resort community with convenient, comfortable lodging choices. 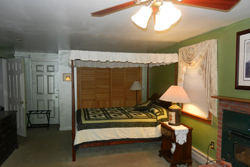 The Grey Fox Inn, located on the Stowe Recreation Path, offers superb accommodations from singles to 2-bed apartments with kitchenette. The perfect four season destination. Located on a scenic backroad in Northern Vermont with stunning views of Mt. Mansfield, Vermont's highest peak. Our fully equipped condos provide all the comforts of home while on vacation, located just minutes from skiing, dining, shopping, and more! 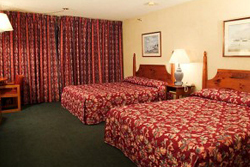 We have accommodations for everyone, from small and economical to large suites with fireplace and jacuzzi, and a few choices in between. 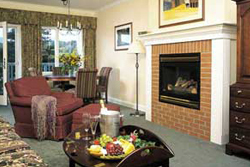 Enjoy private vistas, mountain views and luxurious suites with whirlpool baths and your own fireplace. Rooms, efficiencies, fireplace efficiencies, apartments, suites, and houses on 16 beautifully landscaped acres with gorgeous mountain views. Enjoy modern comfort with country charm at our peaceful 30-acre private lakeside setting at the edge of Stowe Village. 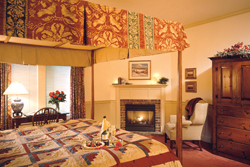 Enjoy the best accommodations in Stowe, with the perfect blend of modern comfort and classic touches in 105 unique guest rooms, luxury suites	and village townhouses. Stowe is a year-round vacation destination you don't want to miss. Enjoy excellent skiing during the winter, great shopping in Stowe's historic downtown area or a round at the Stowe Golf Course during the warmer months, and don't miss the beautiful Vermont fall foliage each year! Don't forget to check our calendar of events for suggestions to plan your Vermont vacation in the Stowe area. There are over 70 unique stores in this charming New England village and along the Stowe Mountain Road - here are a few of our favorites! We know you're going to get hungry during your stay - check out some of the great restaurants in the Stowe area! A year-round mountain resort community. Offering abundant historical, cultural and recreational activities, while celebrating and encouraging the preservation of natural beauty, serenity and resources.